In this time, the 11-strong team has carried out two field campaigns, mapped 200 sq km of sea floor, and generated numerical models covering scales from the 15km-wide Banks Strait to the whole nation. Project lead Associate Professor Irene Penesis said the $5.8 million project, which received $2.49 million from the Australian Renewable Energy Agency (ARENA), is on track to provide the detailed information needed to stimulate tidal energy investment in Australia. “Building on our progress so far, within three years the team is set to deliver a publically-available tidal energy map, detailing the country’s tidal energy resources in unprecedented detail, as well as carry out detailed feasibility studies on key sites to assess their suitability to contribute to the country’s energy mix,” she said. A total of 28 days have so far been spent on board vessels such as AMC’s research vessel Bluefin braving storms with 50 knot winds to collect data from 10 locations during two field campaigns in the Banks Strait. The University of Queensland’s Dr Remo Cossu said the expeditions set out to gather the data needed to determine the tidal energy potential of the Banks Strait, a narrow channel above Tasmania’s north-east coast that connects the Bass Strait with the Tasman Sea. 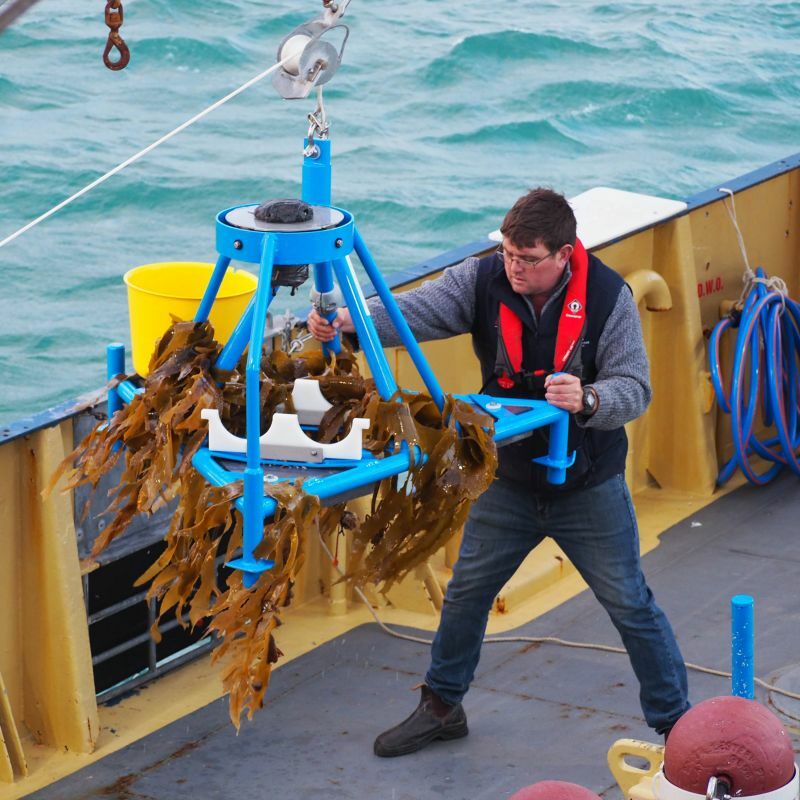 “We deployed instruments to measure the strength and rhythm of ocean currents and turbulence, as well as collect environmental parameters – such as water temperature and sediment characteristics – to help assess the site for deploying tidal energy devices,” he said. The data collected will inform an in-depth industry feasibility study for this high-potential site, and the next field campaign will take place in 2019 at a second location identified as promising by a national scale model being developed by CSIRO. If tidal energy is to have a future in Australia, then it’s important to understand the magnitude of the tidal energy resource across all of Australia and to detail the spatial extent and characteristics of that resource. Prior estimates of Australia’s national tidal resource have been derived from coarse resolution (of order 10km) numerical models, which are too coarse to resolve many geographical features – such as straits and headlands – which lead to the accelerated tidal currents of interest to tidal stream energy developers. A team at CSIRO Oceans and Atmosphere in Hobart, led by Dr Mark Hemer, is developing a new numerical tidal model for Australia using the unstructured Coastal Ocean Marine Prediction Across Scales (COMPAS) model, which aims to resolve Australia’s shelf waters at much higher resolution in regions where it is most needed (the higher tidal energy regions), and lower resolution in less energetic regions. Dr Hemer said a first pass national simulation had been completed that identified energetic tidal regions across the country. Banks Strait, Tasmania is identified as one of the most attractive sites for tidal energy development, with other sites including Tasmania’s north-west, Northern Territory (Clarence and Dundas Straits), the Kimberley in WA, Victoria’s Port Phillip Heads and Backstairs Passage, SA. While the field team have been braving some of Australia’s most boisterous stretches of water, a no-less crucial component of the project has more subtly been carried out from an office deep in the Australian Maritime College. Dr Philip Marsh, a numerical modeller, works on a scale that the field team could only dream about. He considers entire oceans, feeding tide, waves, wind and bathymetry data into software that, in his expert hands, can generate numerical models of the hydrodynamics of vast swathes of ocean. “We’re looking at how fast the current flows so we can determine how much power we’re able to take out from these sites. This gives us an overall idea of how feasible a site is for deploying large scale turbine arrays,” he said. It’s not just fast currents and large flows that contribute to selecting the most suitable sites for tidal turbines. Considerations like distances from ports and environmental restrictions also influence the most suitable sites for tidal turbines. Dr Philip Marsh is working with CSIRO Energy researchers Dr Jenny Hayward and Dr Saad Sayeef to develop a multi-criteria assessment model to prioritise these differing factors using a variety of data sources.